Soroptimist International of Vancouver (“SI Vancouver”) was very happy and honoured to invite Ms. Anita Roberts, the founder of SafeTeen as Guest Speaker at our March 11th Meeting. 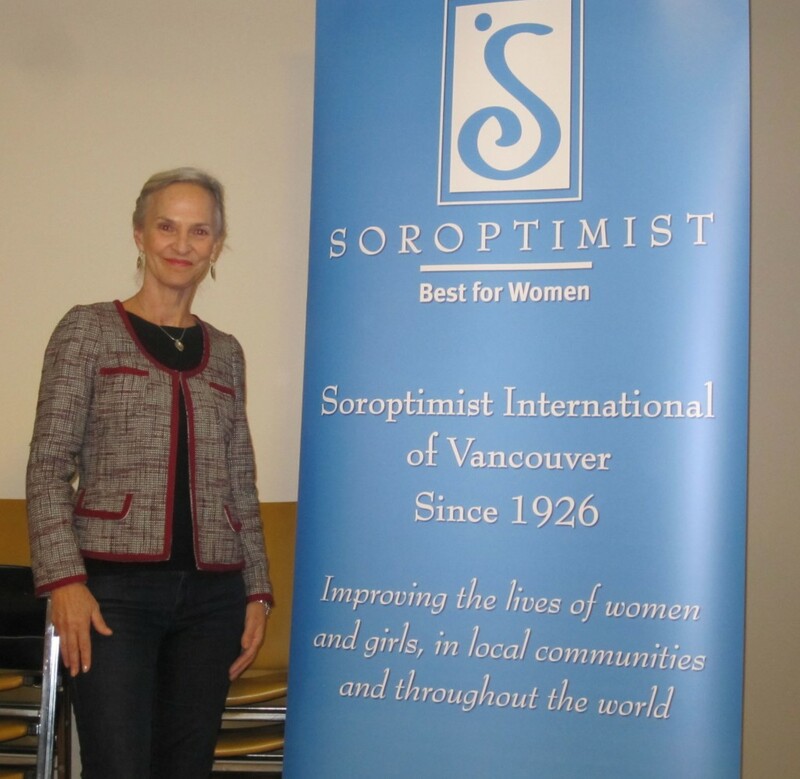 Many members in SI Vancouver have known Anita as Soroptimist 2011 Ruby Award recipient. Soroptimist Ruby Award is the award that honours the woman who, through her profession, has worked to improve the lives of women and girls, has had a significant impact on the lives of women and girls, and would inspire and encourage other women. Governor of Western Canada Region, Dana Martin who attended SI Vancouver meeting that night was very excited to meet and chat with Anita again. 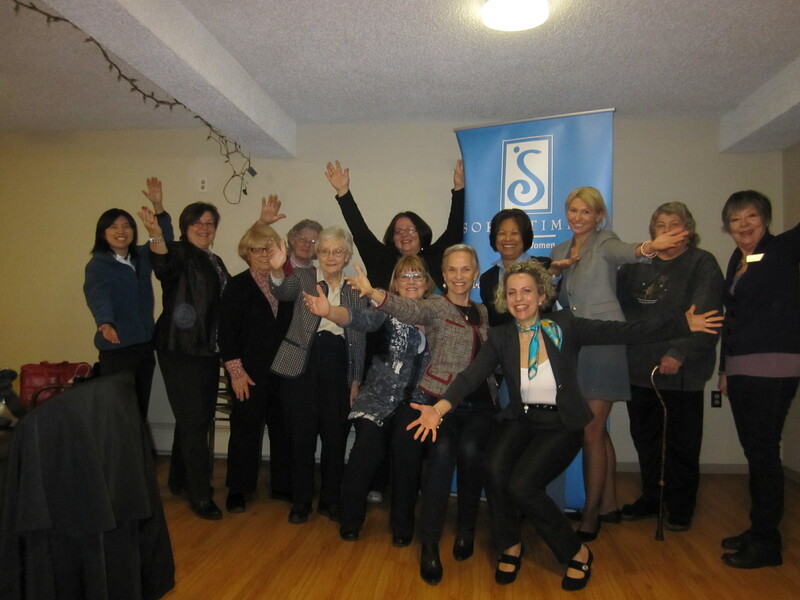 She still remembered Anita’s impressive keynote speech at Soroptimist Western Canada Region Conference in Kamloops. What is sullen then cheerful? Plugged in or unplugged or always on line? And expert at pulling wool over our eyes? The gift is revealing our own imperfection. We have learned from her speech: In the situation where we encounter danger and fear, we have to breathe up to turn ourselves into a power mode as an alternative way to fight against violence – Powerful Alternatives to Violence! Anita is the author of the book, “SafeTeen – Powerful Alternatives to Violence.” This book has been translated into Japanese and Traditional Chinese. Her confidence and passion in her 40-year profession working in the field of violence prevention and women’s empowerment have successfully spread her messages out globally. How powerful and effective Anita’s speech was? Look at the group picture we shot immediately after her speech – we started to raise up our arms and set into a confident TA DA pose that Anita just taught us – which was different from the “traditional” style we used to stand. SI Vancouver would love to seek any possibility to work with Anita and SafeTeen program to benefit a wider range of women and girls in our community.